Maria E Ignatieva, Perth. 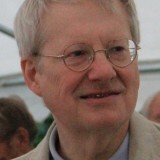 Per Berg, Stockholm. 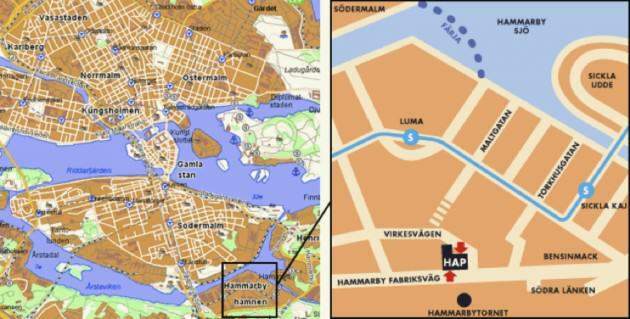 Hammarby sjöstad (Hammarby Lake City) is an urban development project directly south of Stockholm’s South Island. 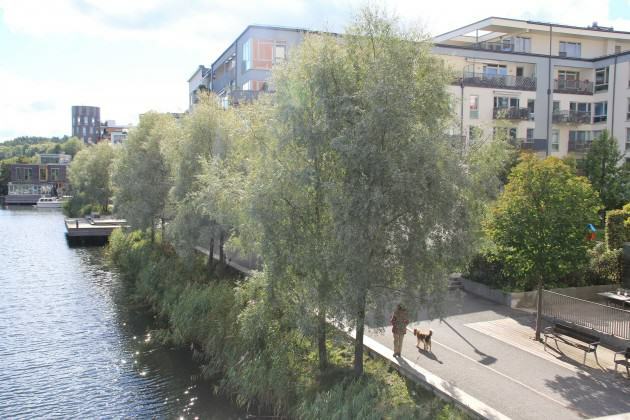 This is no doubt the most referenced and visited spot among Scandinavian examples of implemented eco-friendly urban developments. 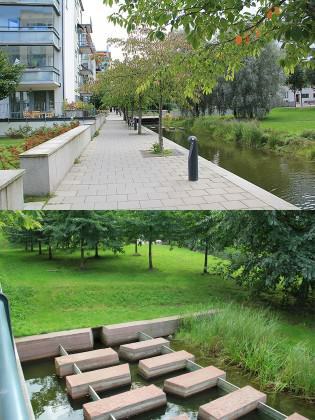 Hammarby is included in many publications, for example in the recent Ecological Design by Nancy Rottle (2011). There are 13 000 visitors a year from all over the world. 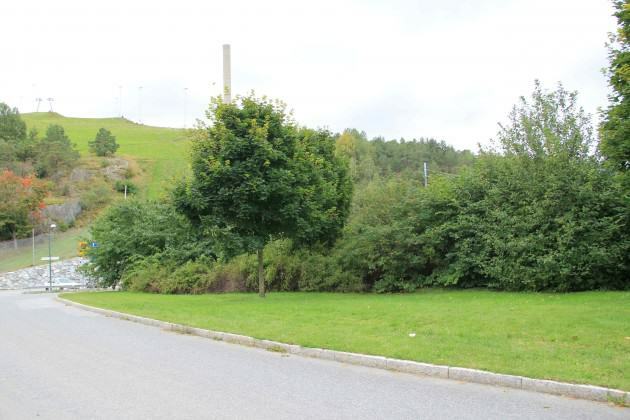 The original plan of Hammarby was to develop the former industrial area to an ecological sports arena and athlete’s village – the aspiration was to develop this area for the Olympics 2012. 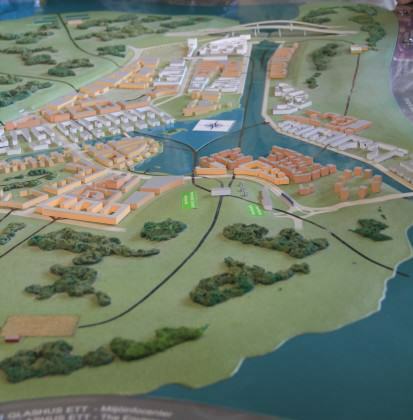 When the bid was won by London the plans were changed and instead the Stockholm municipality – together with a number of construction companies – decided to make this the first Ecocity district in Stockholm for the first millennium. 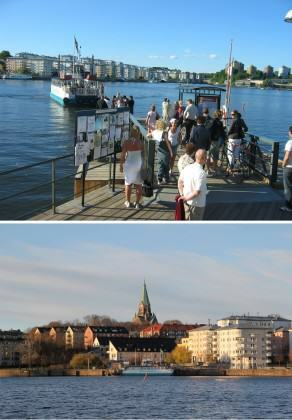 (The other was Western Harbour in Malmö which was displayed during the National Residential Fair 2001). 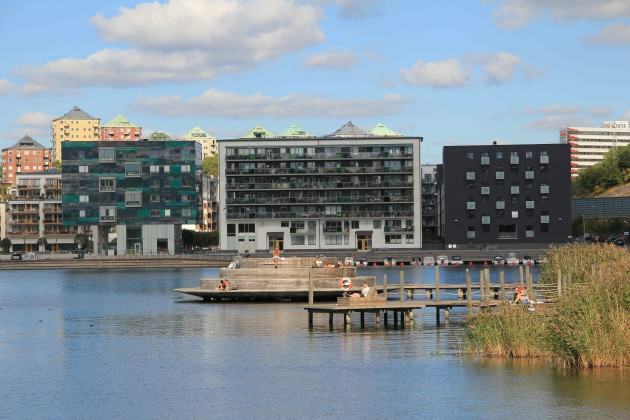 The district is developed around Hammarby Sjö (Lake) and when it is finished it will contain around 1 000 apartments for more than 26 000 inhabitants, with 6 m2 work space/inhabitant. Model of Hammarby Sjöstad Photo: Maria Ignatieva (taken in Hammarby Sjöstad environmental information centre). One new feature of the Ecodistrict, which has won international recognition, was to integrate several infrasystems in the planning from the very beginning: technical infrastructure, mobility and communication infrastructure, building infrastructure and to some extent green-blue infrastructure. Another strong feature is the system of interdisciplinary planning of physical flows of energy, water and waste. The Hammarby model is today mimicked around the world — e.g. in the Caofeidian Ecocity development in China and in the Swedish SWECO consultant concept Symbiocity in Brasil. 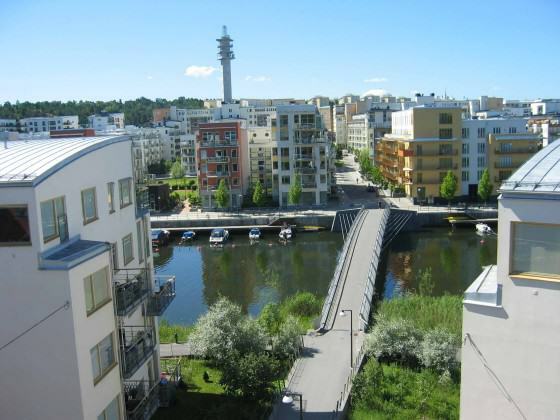 The Hammarby model includes energy conservation measures in which the goal is to reduce heat consumption by 50% and use electricity more efficiently compared to the Swedish average. The share of renewable energy was also intended to be considerably higher than the Swedish average – using bioenergy and incineration of local waste to produce both locally generated heat and co-generated electricity. Large-scale local wastewater and stormwater harvest and filtration were also implemented. 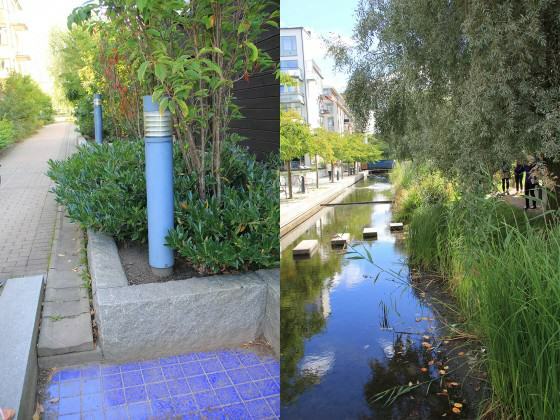 Stormwater devices have high aesthetical quality, which is an important factor in the livability of the neighborhood. 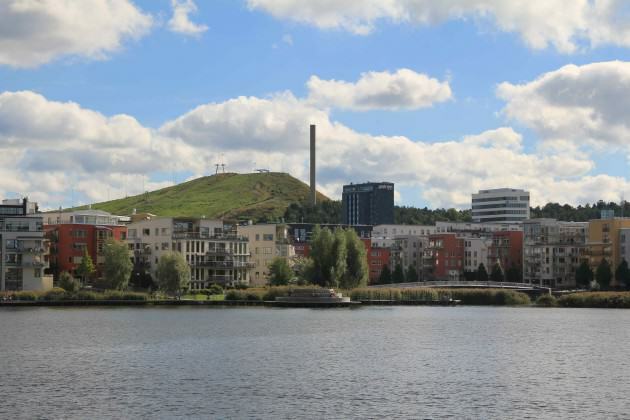 One of the most famous features of the Hammarby model was the implementation of a high-tech waste sorting and waste transportation system, also linked to the local energy production in Stockholm. The most spectacular technical system is perhaps the vacuum waste suction system of various household waste functions (including, for example, burnable and compostable waste). In this system, which is implemented all over the district, filled waste bags are intermittently transported to sub-stations in the periphery of the district, which results in markedly efficient waste collection and no need for waste-lorries to enter the residential areas at all. Hammarby sjöstad has been planned with a dense settlement structure with typically 4-5 story buildings in a compact neighbourhood outline, but with reasonably spacious green courtyards. The moderate height of the houses and the sufficiently spacious neighbourhoods allow for both wind-shielded and sunny inner courtyards with ample possibilities and incentives to develop both inviting entrance green and common courtyard green, and facilitating small-scale cultivation in micro-garden plots or small greenhouses. There are also established green roofs which are an important part of the stormwater system as well as providing important habitat. 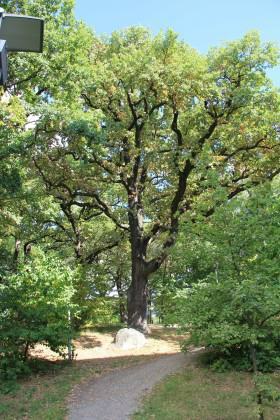 The area is, at a larger scale, linked to one of the green wedges – the Nacka Wedge with a large ski-slope, vast forests, small fields and several lakes. 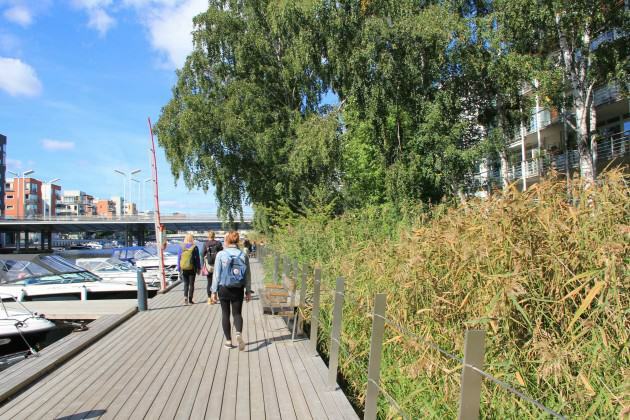 Hammarby sjöstad features many aesthetic qualities: the traffic planning has created a good soundscape with a low level of noise, allowing attractive sounds to enrich the residents’ living environments. The first phases of the Lake City neighbourhoods are both wind protected and offer sunny courtyard and public space areas. 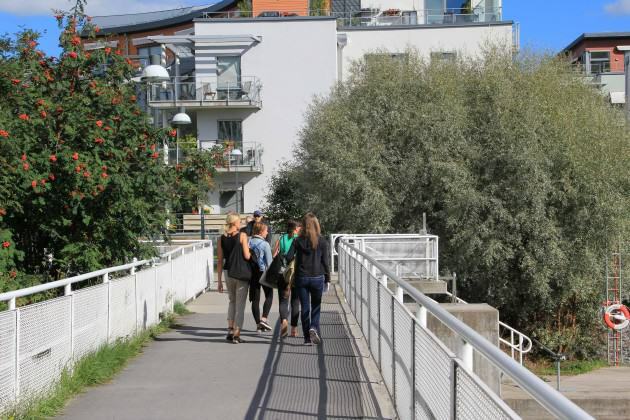 The local areas in Hammarby are easy to keep clean, to maintain (e.g., green and blue elements) and the whole district has an attractive background fragrance due to lack of garbage, much green structure, soil surfaces, lake and designed streams. 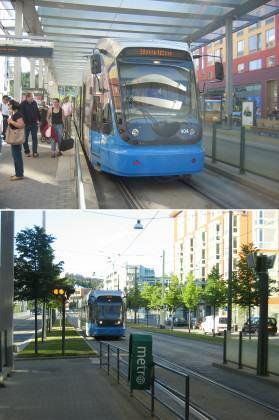 Slowly the commercial and municipal services are developing in Hammarby sjöstad. From the beginning it featured a number of restaurants and cafés, whereas the general stores where developed more slowly. This may have been an advantage as the expected wealthy senior population was not the dominant resident category in the Hammarby. 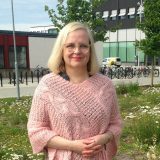 Instead the sjöstad mainly attracted young families without or with one child. The result was an initial lack of stores for children and families, municipal services (schools and nurseries) and appropriate green areas. 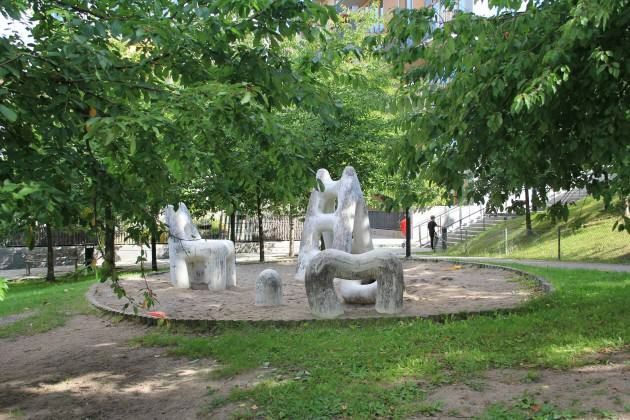 The sjöstads parterre is an important common open space – even if it is mainly restricted to adjacent neighbourhoods and lacks several pedestrian path qualities with cafés and shops. Hammarby sjöstad lacks sufficient intermediary scale (district) green areas, which makes it important do develop “leisure commuting” both to the southern green wedge across the two ecoducts built over the main South link freeway and across the Hammarby lake to the South Island. The Lake City so far also lacks proper public squares for open space markets and an intense city life. It also still lacks a core centre and smaller local cultural centres with cinema, theater and music stages as well as public indoor meeting places. The apartment prices are rather high and there is a lack of affordable rental flats. The demographic structure is biased towards young families, which will create peaks of societal needs (daycare > schools > secondary schools > unqualified jobs). Also the cultural diversity is low and the area is highly income-segregated. 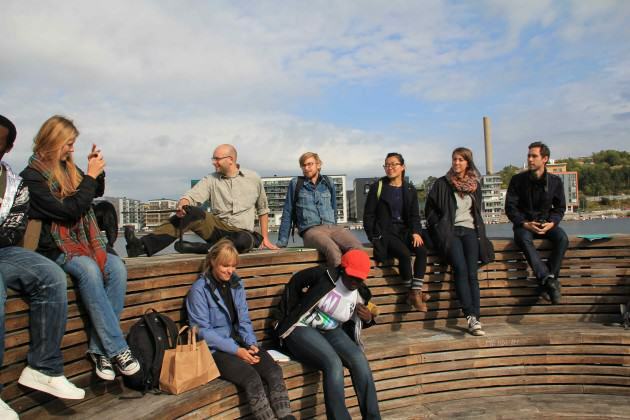 The whole sustainability concept is challenged as long as the Hammarby sjöstad waste-food cycle is not better developed in micro-regional and local scales. 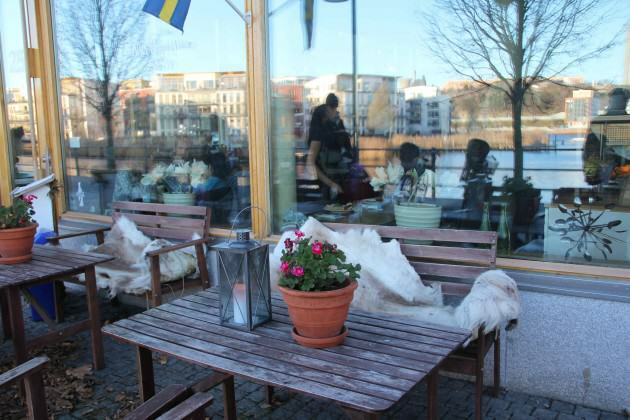 The Hammarby could also strengthen its social cohesion in order to develop its sustainable lifestyle habits. 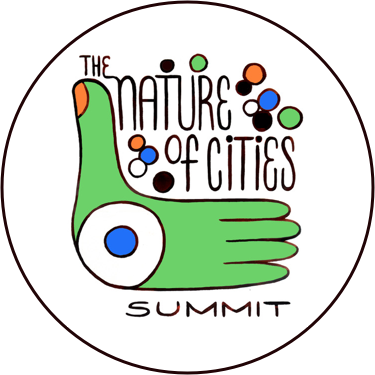 Today the Lake City offers a more sustainable framework for everyday life compare to the average Swedish city but hardly challenges its inhabitants to lead a more resilient life. 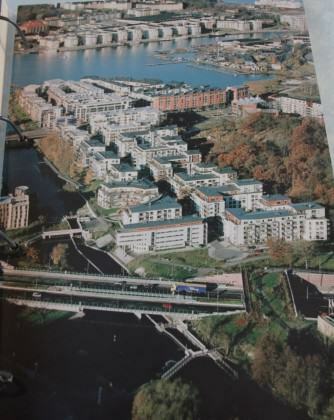 I am really impressed by the design characteristics, green credentials but and so forth of Stockholm’s Hammarby Sjöstad project. However, I am keen to get an update on how you are starting to address some of its initial shortcomings around socio-economic needs and how you are strengthen its social cohesion in order to develop its sustainable lifestyle habits. I like this phrase of hardly challenging its inhabitants to lead a more resilient life. Can you qualify this statement. If you read the Guardian article it suggests we do not do consultation well (which is often true in the UK). Did you do a lot of socio-economic planning / consultation in the forefront of the project to help develop strategies to address these shortcomings over time? For example I like the recognition of peaks of societal needs? How does your demand modelling support thsi work? Greeting from Shanghai Environmental Protection Bureau. 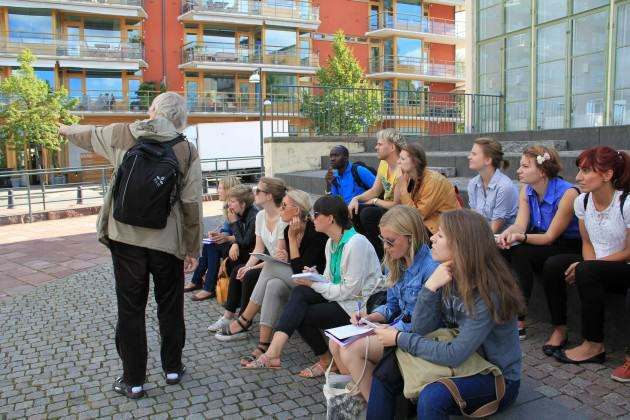 We know that Hammarby Sjöstad is a famous sustainable community and your experience is very useful for our work. Based on that, our delegation (6 person) plans to visit your community on May 23 or May 24 this year (at your convenience), and we will be very appreciate if you could arrange one staff do the introduction for us, thanks. And If it is possible, please contact me ([email protected]), thank you very much. 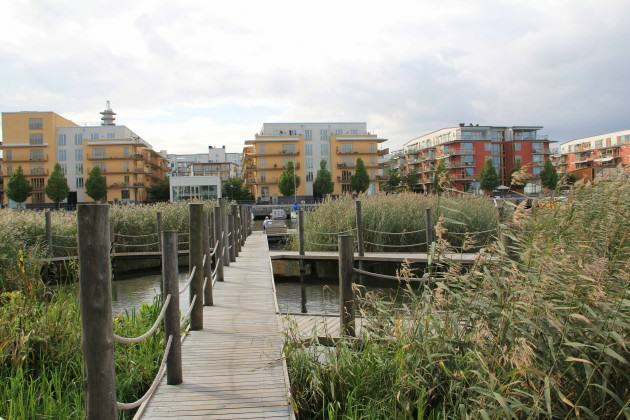 The background of Hammarby Waterfront should be presented right. Stockholm was bidding for the 2004 Olympic Games, and it was Athens that won the games. 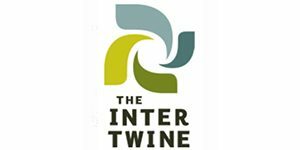 It is an unique example of Sustainable Project management involving communities and various technology partners.I am very keen to know in more details regarding plastic waste management, biomass and wet waste management .. the uniqueness./the innovation quotient of Hammerby . If some technology in the above areas we want to adopt for India and market it by partnering with – who can help us on how to go about it?